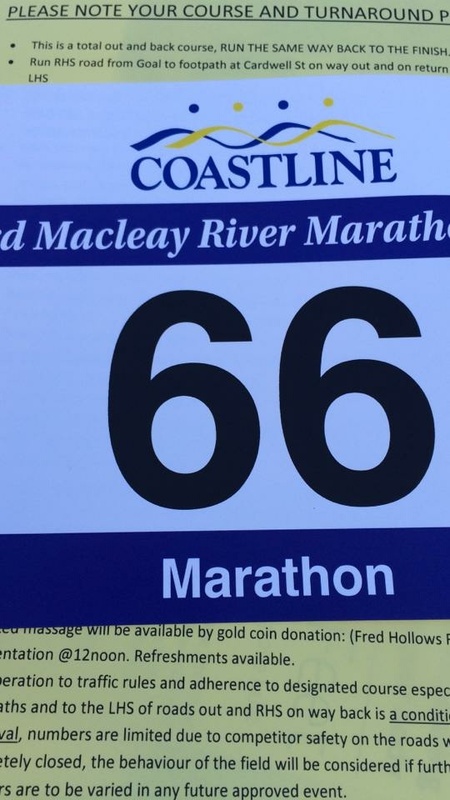 The Macleay River Marathon was one of my favourite events in 2013, so returning this year was a certainty. The 8th June this year was the 33rd running of the event. A lot has changed in the last 32 years. 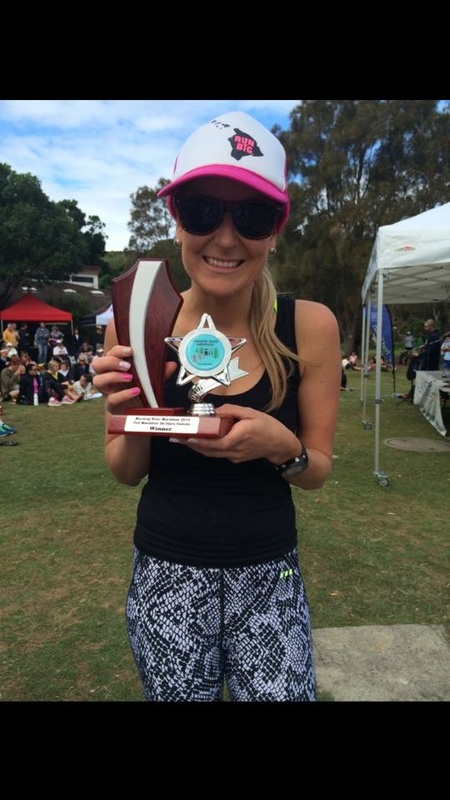 The inaugural event saw 11 runners make the journey from the Kempsey Swimming Pool to Trial Bay Gaol, near South West Rocks. Runners used to hit the wall…. Literally hit the wall of the gaol at the end of the run, which marked the finish of the run, 42.2km from the start, or as close as you got in those days, by a small group of local runners without GPS watches or other modern running luxuries. 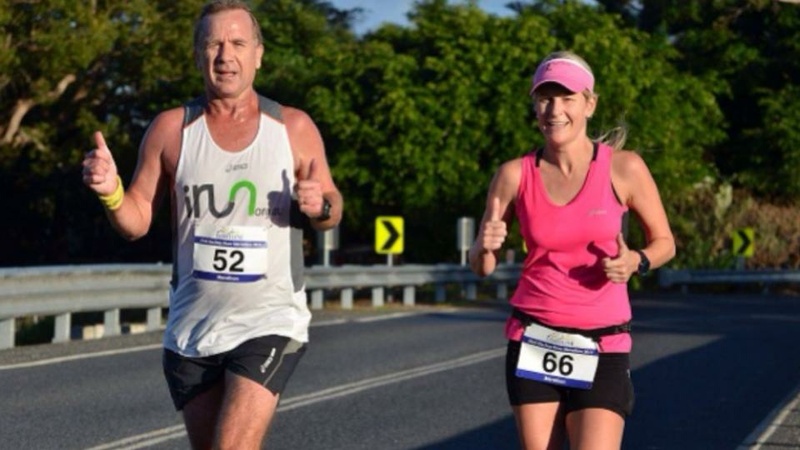 The event now offers a full race program including half marathon, 10km and 5km events, and the course is now an out and back course, starting and finishing in the caravan park next to the Trial Bay Gaol. I forgot to register for the race online this year. My plan was to register when I got up there. On Saturday morning, the day before the race, I thought I had better check to make sure I could register race morning. Turns out you couldn’t. Online entries had also closed. My only chance left to register was to turn up in Trial Bay before 4pm on Saturday. I hastily packed my run bag and hit the road for the 3 and s half hour drive. I made it with 15 minutes to spare, only to find out that they didn’t take credit card, and I needed to pay cash for the race. Cash I didn’t have. So I hit up the bank of a Dad for a $75 loan for bib number 66 that I would wear for my 6th marathon of 2014. I was the last person to enter, so that meant 66 competitors would toe the line tomorrow. On race day morning I was a little indecisive, changing my shoes at least 3 times. I finally settled on my trusty skyspeeds over my new gel Nimbuses. Dad and I drove out to the start line. At 7am, the race was underway. Due to the small field size, I was very aware of where all the other female competitors were. For the first km or 2 I was in second place, as we all made our way towards South West Rocks. Another runner overtook me, and I dropped to 3rd. I didn’t have intentions of racing thus event, so I was worried I was going out too hard. I still had 37km to go. At around the 7km mark I dropped to 4th. A few km later, I ran through a water station near Jerseyville and grabbed a cup of water, passing a man who had stopped for a drink. A moment later he ran up to me, thinking I was someone else. We ended up running the next 10km or so together, chatting away. His name was Andrew. I remembered talking to him at the end of this event last year. He had done something crazy like 150 marathons. Time flew… I had no idea how fast (or slow) I was going. I didn’t look at my watch, just tried to maintain what was comfortable. Just before halfway, I saw Mum and Nan drive past, heading to the Start/finish line. They gave me a wave and a beep. I lost Andrew at another water station, as he slowed to take another drink. Soon after, I reached the turnaround point at Kinchela. I rounded the hat and headed for home. I passed several runners I knew, and it was nice to say hi. The road home seemed a lot longer than the road out. By 9.30am the sun was getting really warm. One stretch was over 5km long without a water station. I had the locations of the water stations written on my hand, along with when I would have my gels. I was not carrying water, and the stations were not regular in parts of the course, so I had to stick to my plan. Heading back into town by myself was lonely. The road was long and straight, and stretched off into the distance as far as the eyes could see. One lane was closed to traffic, but there wasn’t much by way of route markers or race marshalls to let you know there was a race going on at all. There was river to the left, paddocks to the right, and a long road ahead, with maybe one or often no other runners in sight. With around 10km to go, I felt like I was fading. I kept checking over my shoulder, thinking I was about to get mowed down, but there was no one coming. I knew I was in 4th place, and really wanted to hold onto that, because 4th place would guarantee me a minor win in the age group category. I was so preoccupied with hanging onto that, I still had no idea what pace I was running. With 5km to go, I realized I was on pace to run around 3:30. There was a hill coming, and that would slow me down, but I should still make it if I could maintain my current pace. I ran towards Arakoon, trying to keep in the shade. Eventually I made it to the Trial Bay turnoff, and turned left to run up the final hill. My first few steps were heavy and flat. I put in a little more effort, and realized I was getting faster, not slowing down, as I ran up the hill. Less than a kilometre to go. I just wanted this thing to be over. I reached the crest of the hill and started to run down towards the finish line. I saw my Dad, cheering for me, as I dashed towards the line. After the race, I got a massage for a gold coin donation and utilized the nearby facilities to have a shower. Most big city events don’t even offer these services. We stayed for the presentation, and I won first place in my age category. The $75 cash prize I won was promptly handed over to Dad as payback for the loan yesterday to pay my entry fee. Easy come, easy go I guess. What this race lacked in large entrant numbers and big-city marathon atmosphere, it made up for with the little quirky things that you just don’t get at the big events. Like the kid out near the halfway point in what felt like the middle of nowhere, set up with a table and a jug of water in his front yard. Or the guy who rode his bike out to the Jerseyville bridge and sat there with a plateful of watermelon for runners. Or the lady with the spoon and saucepan, making noise and cheering for you. Yes, you. Because at 37km into a marathon with 66 competitors, chances are you’re the only runner in sight, so there’s no one else she is cheering for at that point but you! This is one of my favourite small-town marathons, and I look forward to coming back again next year, and defending my age-category win for the third year. 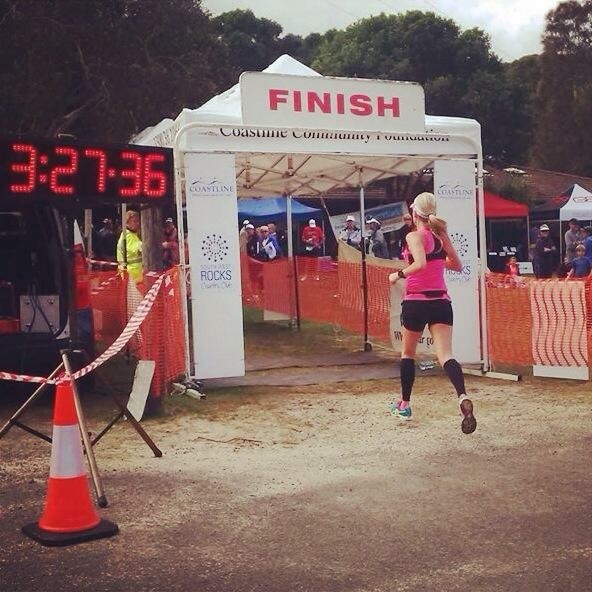 I am also looking forward to start line #21 on the Gold Coast in a few weeks! Fantastic run and congrats on the AG win! Excellent time!! Congratulations on your trophy! ← How to Qualify for the Kona Ironman World Championships.